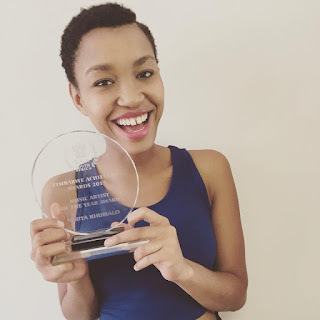 Gold selling, award winning singer – songwriter, Berita, has added another accolade to her already impressive resume when she took home the Music Artist of The Year award at the annual Zimbabwe Achievers Awards which took place this past weekend at the Hyatt Hotel in Rosebank, Johannesburg. 2015 has also seen Berita win Songwriter of The Year at the annual Wawela Music Awards which took place in June, as well as receive nominations for Best Female Artist & Composer at the Wawela Music Awards; Rising Star of The Year at the South African Afro Music Awards; and Artist of The Year at the Eastern Cape Awards. “I'm so honoured to be the winner for Music Artist of The Year at the 2015 Zimbabwe Achievers Awards, I feel privileged to be honoured by my home country for the work I have done thus far. It’s been an amazing year! I have received great exposure from the Zimbabwean media and public around my collaboration featuring Zimbabwean music legend, Oliver Mtukudzi, and I am very grateful for the continuous Support. This accolade is very special to me. I’m really humbled by the number of accolades I have received this year, from Zimbabwe to the Eastern Cape, for my music and songwriting. I’m inspired to work harder and I hope to cross even more boundaries” express Berita. Berita’s latest single, Mwana Wa Mai Remix, is currently on rotation on radio stations across the country and features industry heavy weights Oliver Mtukudzi and Hugh Masekela and remixed by the award-winning Black Motion. Famously known for her hit single "Thandolwethu" from her debut album CONQUERING SPIRIT, Berita released a sophomore album titled Songs of Empowerment in December 2014. Songs of Empowerment is inspired by the likes of Nina Simone, Miriam Makeba and Dorothy Masuka. The album boasts an impressive collection of songs mostly written and co-written by Berita. Make sure to get a copy in all good music stores and digital platforms.